Bouquets are an indispensable part of special events that people organize to celebrate a special landmark in their lives. Events such as weddings, engagements, graduations, conferences, business meetings are just a few of them wherein bouquets of flowers become the main decorative beautifier. Bouquets can be of roses a mixture of different flowers or a single flower species. Our gorgeous already made Bouquets can be carried or placed in containers to become the table centerpieces for the wedding ceremony and reception. Many clients use our bouquets in dance centers and other ceremonial gatherings and church groups fund raise using our rose bouquets and flowers as well. 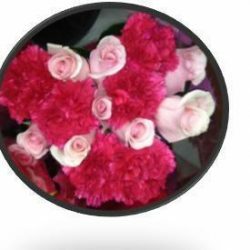 Buy Wholesale Bulk Fresh Cut Flower Bouquets Online. Please order with a minimum of 7 days notice of delivery date. *If you don’t see the color combination you like listed, you may special order them and note two colors of your choice under the text field for special orders.